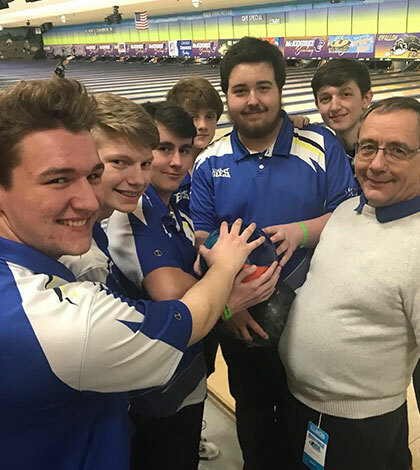 The Columbia High School boys bowling team completed its best season in program history by placing sixth overall at this weekend’s IHSA state tournament played at St. Clair Bowl in O’Fallon. The Eagles, who advanced to state after winning regional and sectional championships, posted a 205.2 per game average over the two-day state tourney. Columbia was led by Seth Harris with a 214.5 average (19th place) over 12 games and Jacob Amos with a 209 average. “Numerous times, the team made a move toward the top three but just couldn’t seem to find that little push to put them there,” Columbia head bowling coach Keith Jeffery said. Making its third straight state appearance, Columbia finished Friday’s preliminary round in seventh place. Nathan Bostick led Columbia on Friday with a six-game total of 1,328 (221.3 average). 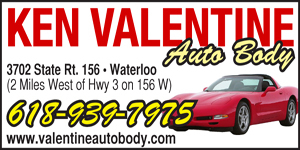 Read more in the January 30, 2019, issue.